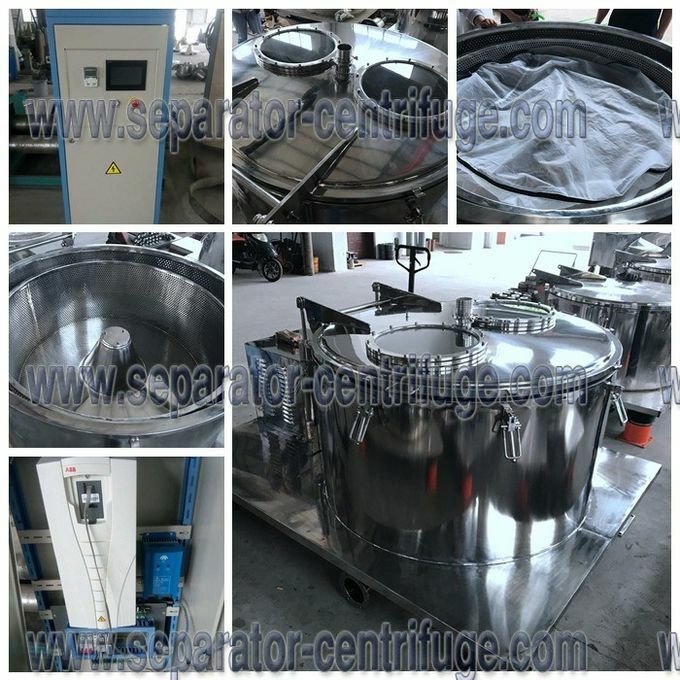 The PPTD centrifuge is top discharging, hermetic closure type equipment. The material is fed into the drum through the feeding pipe on the hermetic closure casing; under the action of the centrifuge force field, the liquid-phase passes through the filter medium and the discharged out of the machine, while the solid-phase material is retained inside the drum and, after the machine is stopped, the material is discharged from the top. 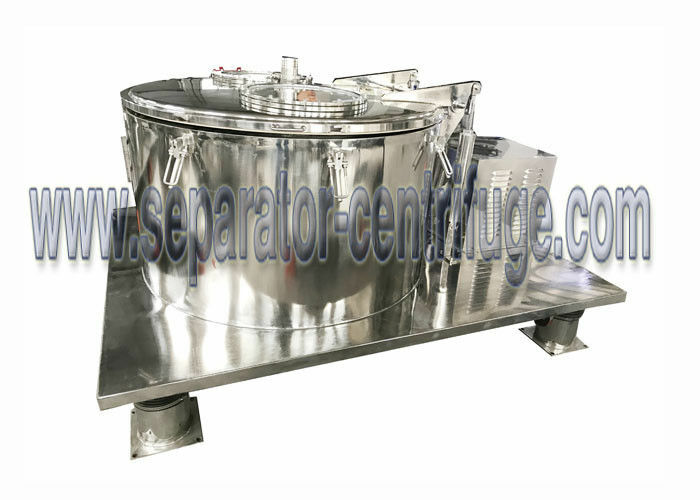 The centrifuge has such features as smooth running, easy & convenient operation as well as conducting feeding, washing and dehydrating under the state of hermetic closure, etc. Program Menu: The 'Spray Wash' or 'Agitation Wash' program is selected on the HMI where the RPM and cycle times are set to the operator’s specifications. Fill: Alcohol is connected from source tank into the centrifuge. System Draining: When the wash cycle is complete, the outlet valve is manually opened and the liquid drained. 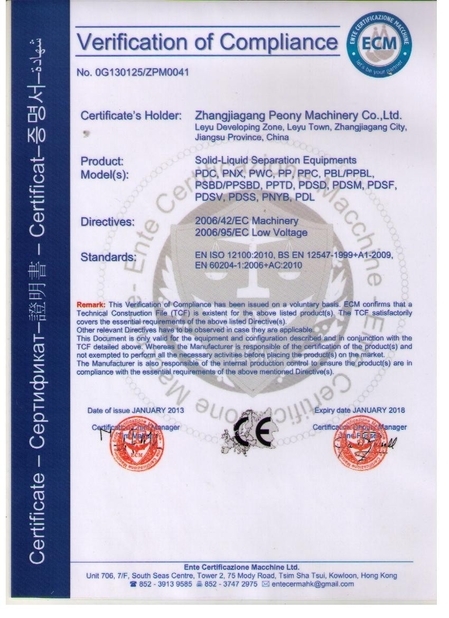 The alcohol wash is pumped to a properly rated storage reservoir for further processing. Spin Dry Cycle: The 'Spin Dry' menu is selected on the HMI and the drying cycle is started. The wet plant solids are spun dry of the remaining alcohol mixture within. System Unloading: Upon completion of the 'Dry cycle', centrifuge is unloaded by taking the filter bag out from the basket.